Are you shopping for a more economical ride? If so consider the new Kia Rio in Odessa, Texas. The Rio is available as both a four door and five door model and has an approximate 31/32 combined MPG. This nimble compact car has a variety of nifty features including push button start, heated rear glass and side view mirrors, Bluetooth wireless technology and an available voice activated command center. Kelly Grimsely Kia has a large selection of Kia Rio and Kia Rio 5-Door models to choose from. Browse our online inventory for MSRP, color options, trim levels, vehicle details and photos. 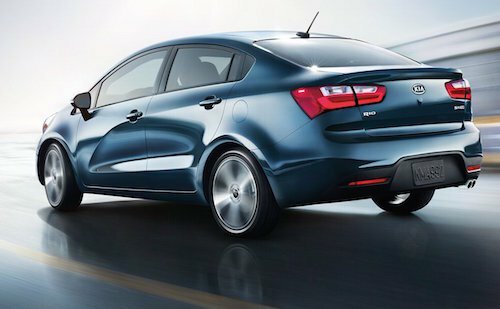 Once you have found the perfect model let us know and we will help you get behind the wheel of a new Kia Rio in Odessa, TX for a test drive.